The BB ALERT® bed bug detection and protection range provides you with the confidence and the peace of mind to sleep stress free. 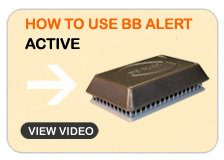 The BB ALERT® Bed Bug Monitoring and Detection System has been developed with extensive scientific research by world-leading entomologists who have tested it to be one of the most effective methods of bed bug monitoring and early detection. We also offer encasement products for your added protection. Our range is essential to take with you when you are travelling so that you can monitor for bed bugs at the hotel you are staying in and also monitor for bed bugs when you return home to make sure that you haven't brought them back with you. A lot of people are not aware of the importance of monitoring and early bed bug detection. An exponential rise in a bed bug population occurs around about the 90 day region if an infestation is left undetected. By this time the infestation could have spread across to different parts of a room and even across to the adjoining rooms. The cost of controlling the infestation will most likely run into the thousands of dollars. Early detection means that the infestation can be controlled quickly, easily and with the least cost. Being proactive by bed bug monitoring is the best choice to make in protecting yourself and your family from this opportunistic pest. Now you can allow yourself and your family to sleep easy knowing that you have the best tools available for the monitoring, early detection and protection against bed bugs. 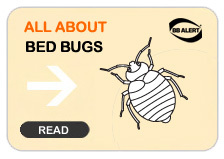 If you have any questions we have a panel of bed bug experts ready to answer any of your bed bug related questions. 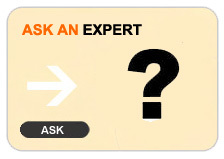 Just click here to go to our Ask An Expert page. 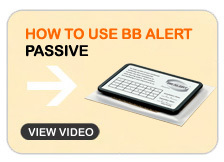 *based upon an average bed bug biological cycle. Temperature and access to blood meals will vary the figures.